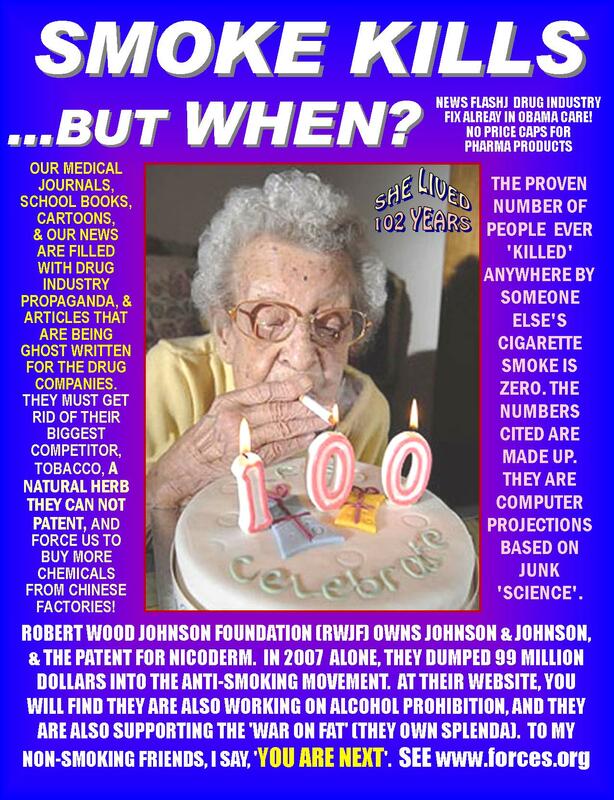 Stickers for SMOKERS ~ MORE flyers here: American Smokers Party Flyers/Info Page You are welcome to copy and share these. The Pennsylvania legislature should FIX this. There is ALREADY exception in PA vehicle code to allow monitors with NAVIGATION systems. It is nonsense to NOT ALLOW REAR VISION SYSTEMS. 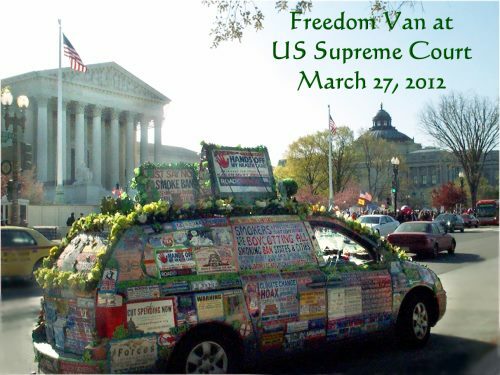 Liberty Van was Tea Party about 3 years before there was any such thing in modern times. The IRS is not the only government entity that has been harassing the Tea Party. and she was still done up with green shamrock lights. MORE THAN HALF A MILLION MILES on these two vans over past 9 YEARS, through 48 states!!! LAW ABIDING driver. SO, they bust me for stoopid things. current Pennsylvania Supreme Court Ruling. since he was PRETENDING it was NOT a rear vision system, he also ticketed me for having 'obstructed rear vision'. After he was done with me, I put all my parade flags on the roof, and cruised some more, and took this photo. If that does not look like FREE SPEECH to you, would you kindly contact me and tell me WHAT IS??? or in a Newspaper again. I REFUSE to give up my FREEDOM OF SPEECH. 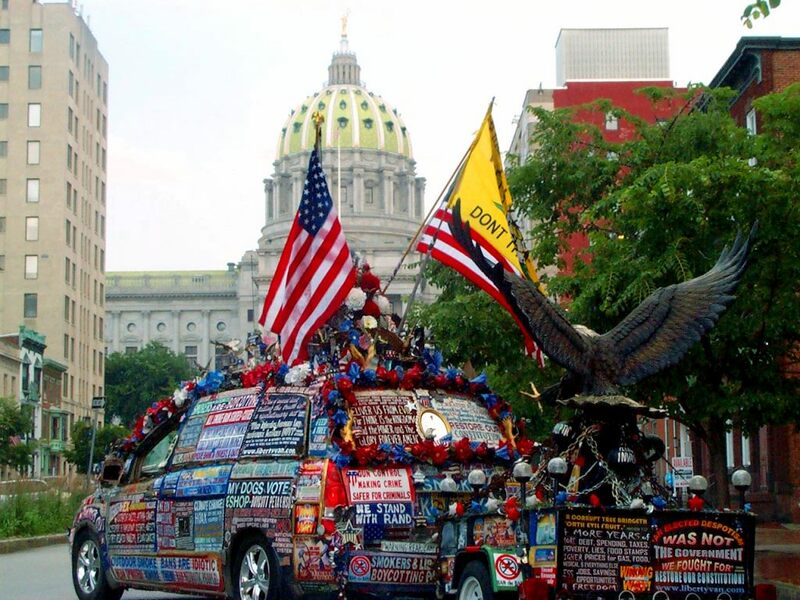 My art cars ARE FREEDOM OF SPEECH. Also, as a citizen, I DO have a right to travel as a free person, with a vehicle I own and pay for, and on roads I also pay for. so far EVERY SINGLE TIME, in my experience with them. So, with an attorney, I appealed. Here is that appeal ruling, which is nonsensical, and makes ALL REAR VISION CAMERA systems ILLEGAL in PA.
if ANYTHING is on any rear windows (never mind if your vehicle is loaded to the ceiling). The above link is the appeal ruling, with a few notes I made on it. years. A couple of decades ago, I became aware that we are in an ideological war, and we have been losing it badly. 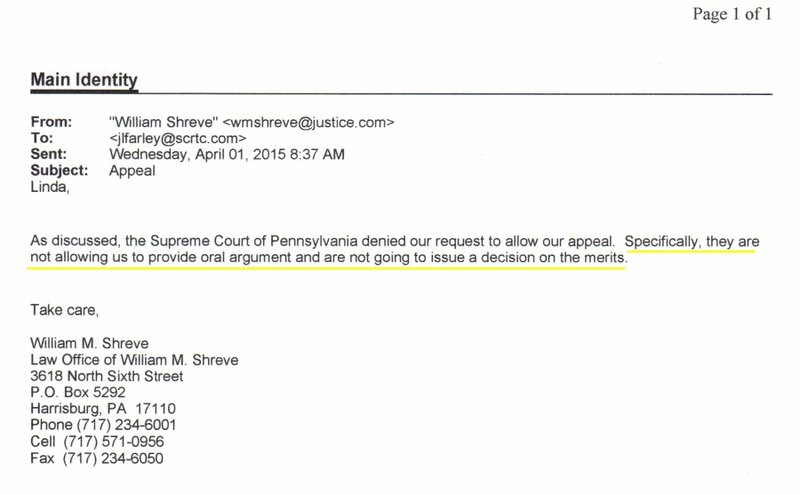 Last week, someone sent me this - it is the Pennsylvania Supreme Court's ruling. a rear vision system is a TELEVISION SET, or whether they decided it's not worth reviewing at all. I emailed my attorney last week, and he did not reply. they have ALLOWED TO STAND the ruling it is TELEVISION EQUIPMENT. and tell them about this, before they start fining YOU. of them ILLEGAL in your state. I've seen hardly one that does not have SOMETHING on SOME windows. A rear vision camera system makes them SAFE & LEGAL in most OTHER states. exception for NAVIGATION systems that have A TELEVISION SCREEN where the driver can see it. or anytime anything (including back seat passenger's heads) might obstruct rear vision. I DO NOT have 'obstructed vision'. I can see a BIRD on the road behind me. In the last half a million MILES I've never yet hurt ANYONE or ANYTHING with one of my vans. ANYTHING FOR SAFETY to your vehicle, if it is older, and did not come with it. Maybe this is some sort of attempt to make you REPLACE your old car with a new one so you can get the latest safety stuff??? SAFETY EQUIPMENT TO MY OWN VEHICLE????!!!! that I must TURN OFF my rear camera when in PA.
and I will NOT do that! I emailed my attorney last week, this is his reply I got yesterday. 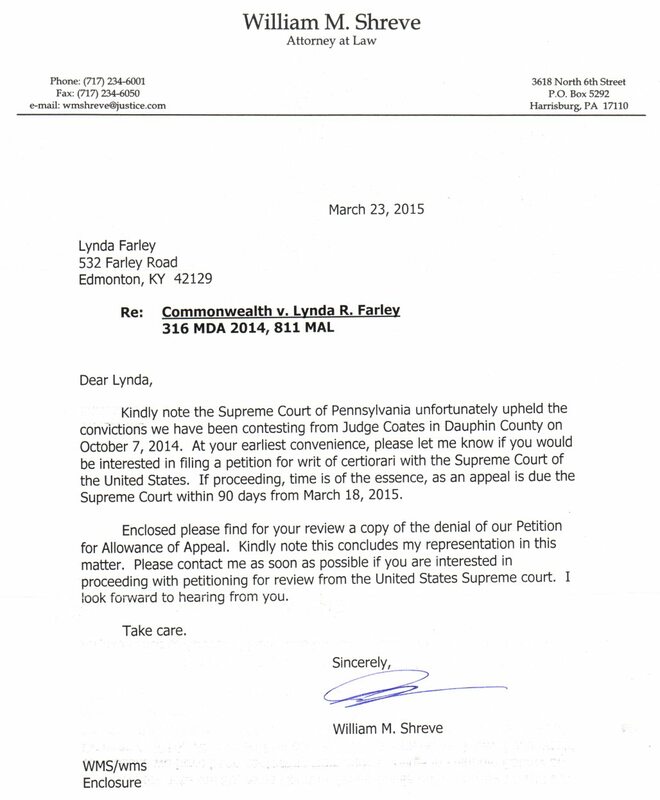 Here is clarification I received from my attorney 4/1/2015. I no longer have the resources to appeal this further, though I would if I COULD. It looks like I've got about 2 and a half months to find some help with this. the resources to make all the kinds of trips I was making. Freedom Van, because I had a ticket for pink 'Christmas' lights. That one is still in the West Virginia Supreme Court of Appeals. to find lawyers to help them with that stuff??? I guess too many of the lawyers are lefties. her bill was over $2,000. Also, I no longer can afford attorneys to fight all the harassment. Fortunately, that does seem to have slowed down quite a bit in the past year and a half or so. http://www.libertyvan.com/PoliceHarassment/NewHampshire/ I would LOVE TO SUE THEM. PLEASE CONTACT ME IF YOU KNOW SOMEONE WHO WILL HELP. will chip in a couple hundred, but the cost is still pretty close to husband's monthly pension check. 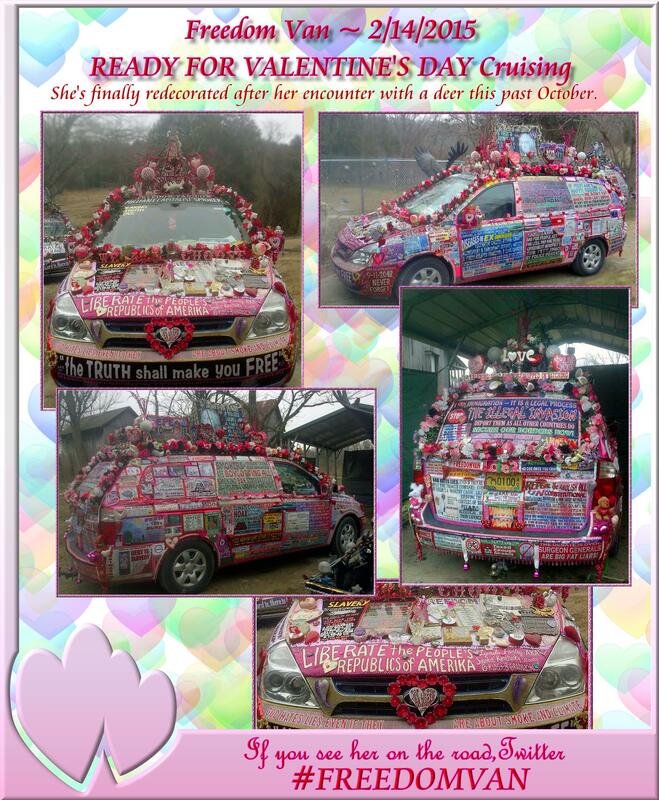 as she's going to the Houston Art Car Parade, Mother's Day weekend, like that. Oh yes, and I will have to drive through PENNSYLVANIA - a CRIMINAL, with a TELEVISION on my dashboard. my credit REWARD cards), that would help. here and there, either coming or going, I can stop in for a few, for a meet/greet. I am bringing Freedom Van - Liberty Van is in the shop AGAIN. AVAILABLE TO SPEAK ON A VARIETY OF LIBERTY ISSUES. TO STEAL IT, OR THE FED INFLATES THE VALUE OF IT TO 0 (BOTH OF THOSE ARE HAPPENING). IT WOULD BE A GIFT TO HELP WITH THE FIGHT. FOR FREEDOM OF SPEECH AS LONG AS I POSSIBLY CAN, AND WILL CONTINUE WITH MY LAST BREATH. HAS COST ME ABOUT $2,400 IN REPAIRS FOR FREEDOM VAN (NEW AXELS, MOTOR MOUNTS, ETC). THESE VANS GET WHATEVER THEY NEED, INCLUDING SYNTHETIC OIL CHANGES EVERY 3,000 MILES. WHEN I TAKE CARE OF THEM, THEY TAKE CARE OF ME! enforcement. I also do my best NOT to allow my God Given Rights to be trampled. projects HAVE BEEN AND WILL CONTINUE TO BE 100% PRIVATELY funded. do, and using EVERY inspiration, talent, and resource God has blessed me with. It all belongs to Him, anyway. Liberty Van and Freedom Van are my Hosanna Afghan Hounds dog show mobiles. or produced (so far) 28 AKC Champions, and three AKC Grand Champions. You can see the most beautiful dogs in the world at www.hosanna1.com/Hounds/. THEM MYSELF, AS I CAN NO LONGER RUN AROUND THE RING WITH THEM. THEM for FREE again, & KEEP THE VANS ON THE ROAD - IF I CAN AFFORD TO. FOR THE PAST 10 YEARS HAVE BEEN WELL BELOW 1,000/YEAR IN THE ENTIRE USA. AND AN UGLIER WORLD, IF THERE WERE NO MORE AFGHAN HOUNDS IN IT. This was 'Happy', Hosanna Amazing Peace, from our 3rd litter in 1998. She's in most of our pedigrees now. 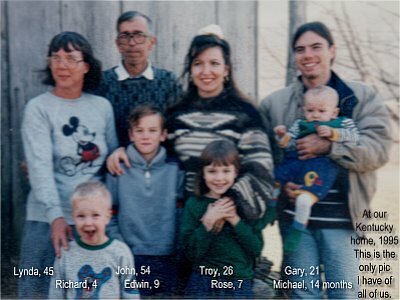 She was the mother of several of our Champions, and she has many Champion (and some Grand Champion) grandkids. www.libertyvan.com , www.americansmokersparty.com , plus several more. but given my time constraints, it's the best I can do. (retired). He holds the fort down here, caring for kids, grandkids, and of course the dogs. they are not slave labor. My 6 kids range in age from 45-20, and they are ALL AWESOME. in S. Florida, so you may see one of these vans headed that way soon! I have pledged my life, my treasure, and my sacred honor to the service of God and my country. Dynamite Specialty Products ~ Home of the highest quality vitamin and mineral supplements for all living beings. You are welcome to share any of my photos and graphics, especially with your state legislators. We have been so very VERY Blessed. OUR JUKEBOX MUSIC IS COMPRESSED FOR PERFORMANCE ON THE WWW at 28KB. 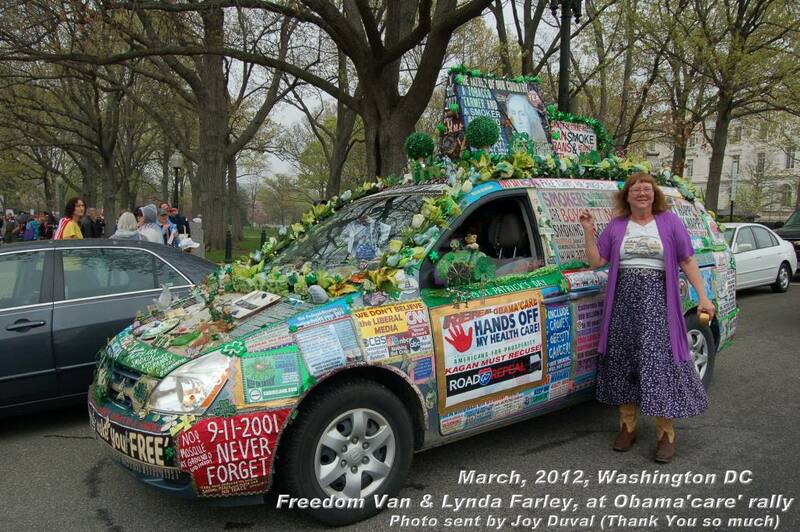 & HELP KEEP LIBERTY VAN AND FREEDOM VAN ON THE ROAD BY USING OUR LINKS!